Looking for a House, Condo or Townhouse for sale in the Edgemont Village area of North Vancouver? 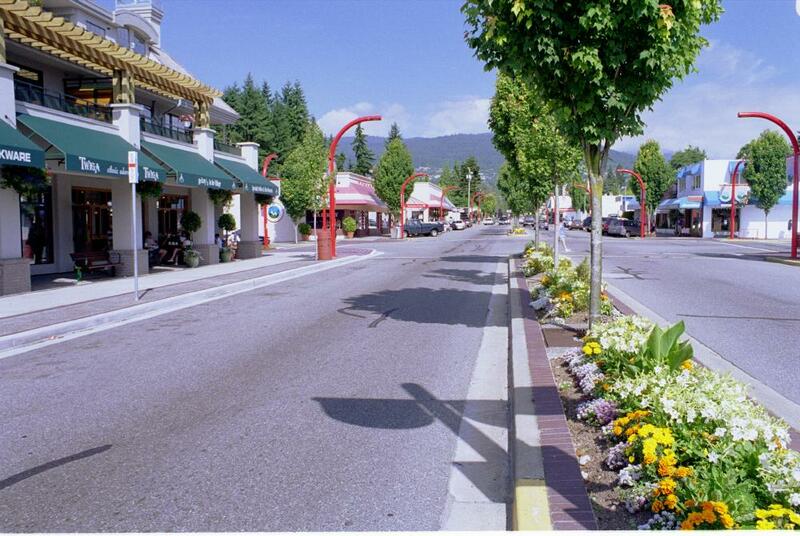 Edgemont Village is a lovely outdoor shopping district nestled in the heart of a lush residential neighbourhood at the base of Grouse Mountain. “The Village”, as it is known locally, has become the community hub for nearby residential neighbourhoods and it is the centre of day-to-day life for many of the area residents. Some of the residential real estate areas in the Edgemont Village region include: Capilano, Capilano Highlands, Canyon Heights, Grouse Woods, and Forest Hills. Residential development in the area began in the late 1930′s, following the completion of the Lions Gate Bridge. In 1947, the first shops in Edgemont opened, including a dry goods store, a restaurant, and a pharmacy. Other developments included a branch of the District of North Vancouver public library, a fire station (since relocated), and a community policing office. The Edgemont Village area is an area known for its charming ranchers, mid-century modern post and beams, and luxury new craftsman and contemporary homes. The region is home to some of the most expensive real estate in North Vancouver. Please contact us to search for real estate in Edgemont Village. The Edgemont area lies at the base of Grouse Mountain, a local ski hill that was a part of the 2010 Winter Olympics. Take the gondola up the mountain to go skiing, skating, snow shoeing, sleigh riding, visit the wind turbine observatory, or simply go dining at the Observatory restaurant. Or instead of taking the gondola, hike the Grouse Grind, a popular hiking trail that ascends the mountain. 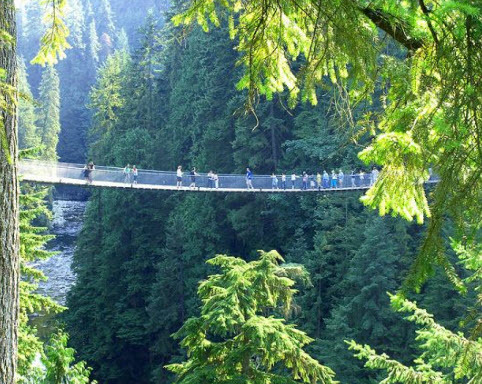 The Capilano River Regional Park includes the Cleveland Dam, the Capilano Salmon Hatchery, the Capilano Suspension bridge, and the numerous hiking trails throughout. Murdo Fraser Park has a 9 hole pitch-and-putt, as well as tennis courts, playground, and a duck pond. There are over seventy businesses in Edgemont Village, including a variety of shops and restaurants as well as offices for doctors, dentists, and other professional services. Due to local zoning, most businesses tend to be smaller operations. There are no “big box” outlets, and the majority of the businesses are locally owned and operated. However, the “heart” of the Village lies in the community services: the library and community police office. There are regular community events on the Village streets. Throughout the summer, there are frequent public concerts, community days, and celebrations, including the “Wild Lights Lantern Festival” in August, presented by the North Vancouver Community Arts Council in conjunction with the Public Dreams Society as well as the annual harvest festival every September. There is also Evenings in Edgemont which is an outside venue listening to free concerts that run every Friday night through July and August. Or check out the Edgemont Village Show n' Shine for car enthusiasts. It is a single day event in August with classic cars parked throughout the Village. There are many elementary schools in the region including, Cleveland, Highlands, Canyon Heights, and Montroyal. There is one high school in the region: Handsworth Secondary School. TransLink bus routes 232 (from Phibbs Exchange) and 246 (from downtown Vancouver or Park Royal in West Vancouver) pass through the Village. Capilano Road has additional bus routes serving the Capilano Suspension Bridge, the fish hatchery, and Grouse Mountain.